One platform. Open Access. Fyber connects app developers with all advertising demand. 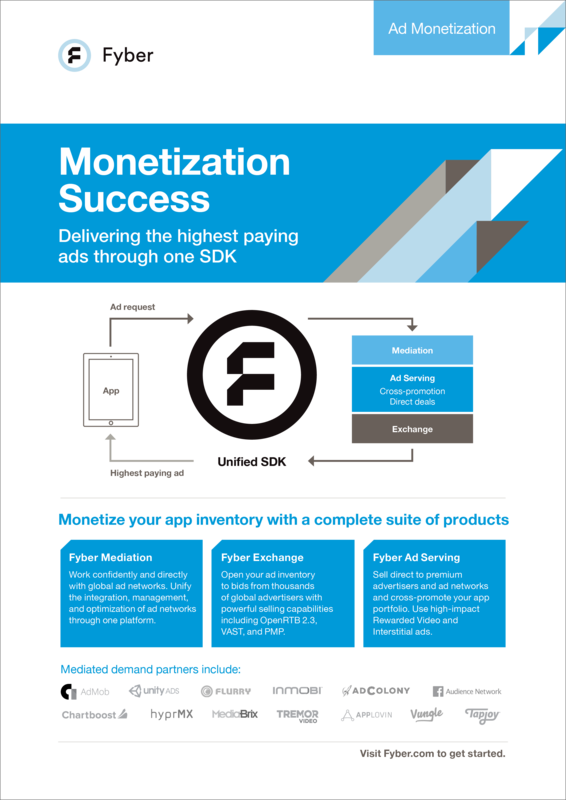 Maximize your ad revenue with a complete monetization suit in one SDK.